AI2 Inventor Forum News: Can AI2 capture an image of the device screen? How? Can AI2 capture an image of the device screen? How? I need to capture an image of my tablet display running an AI2 project using WIFI. Is there a way to do this using AI2 itself? If not, what would be a good Android app to do this (non-rooted)? I can not simply do this in the emulator because I am using controls that do not display or report in the emulator. If I can capture, I can easily transfer to my PC, the issue is how can I get a screen image png or jpeg? Fantastic. Thank you Hossein. It works great ... after downloading drivers to use the USB with my tablet, setting the Developer Mode on th tablet, "learning" to use AI2 with USB and bringing up the Android Debug Monitor the suggestion worked very well I have used ADB with Android Studio and Eclipse but never with AI2 and did not realize I could capture a screen Wonderful. Aaron just showed me another way. . I can take a picture (screenshot) ... using the shut down and volume buttons on the Galaxy Tab II, but not as described in a posted article and awkwardly, Using thevolume and shutdown buttons does not always work. Some things just do not work as planned. Thanks again Aaron, Just wanted you to know. I could not find the key combination to snap a picture on my Monster M7 tablet running Android 4.1.1. Thanks for the image Scott. I understand prior to upgrading my Galaxy Tab II to Android 4.2.2. it too could do exactly what your Monster can do. Sadly, that feature was removed going from 4.1 to 4.2. I suspect others will find your experience useful. I just learned by trial and error, that with my Tablet, I can press the on/off simultaneously with the volume control to take a screenshot if I press the volume control in the MIDDLE....of the increase volume/decrease volume buttons. 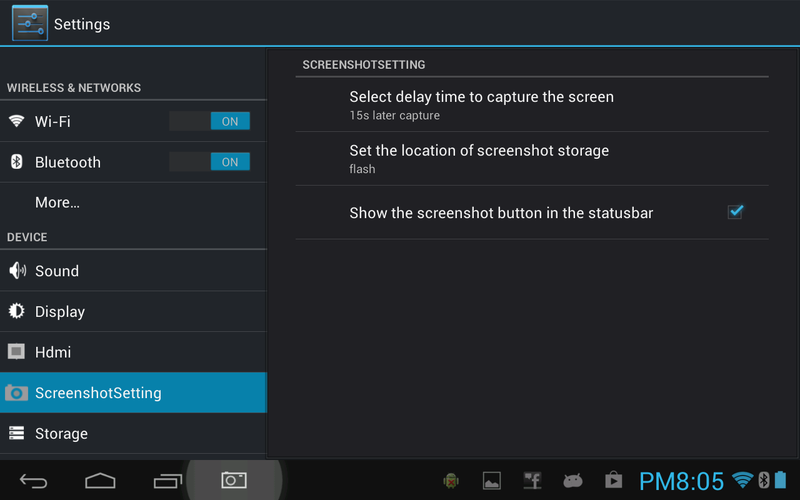 The tablet takes a screenshot every time! However, there is an issue; the screen shot only captures the entire screen if the app is in landscape mode.